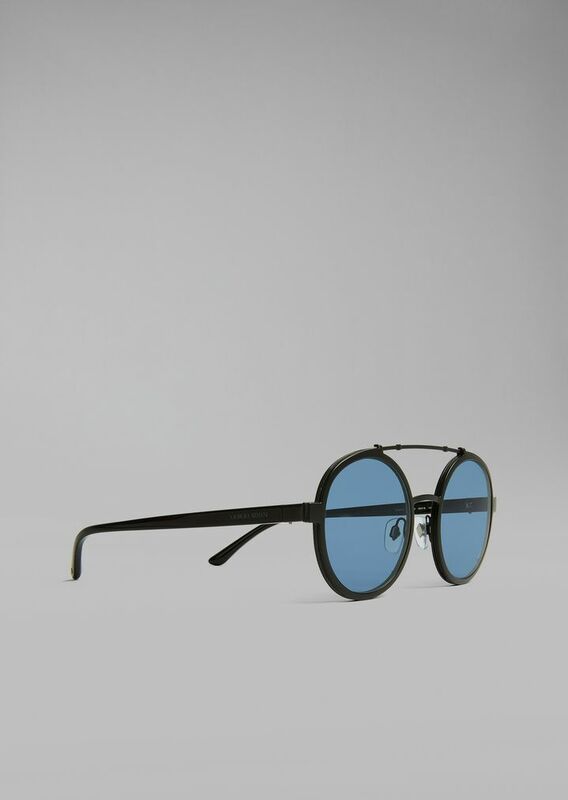 Worn in the S/S 18 menswear runway show, these oversize round frames have a special curving double bridge and a confident shape. 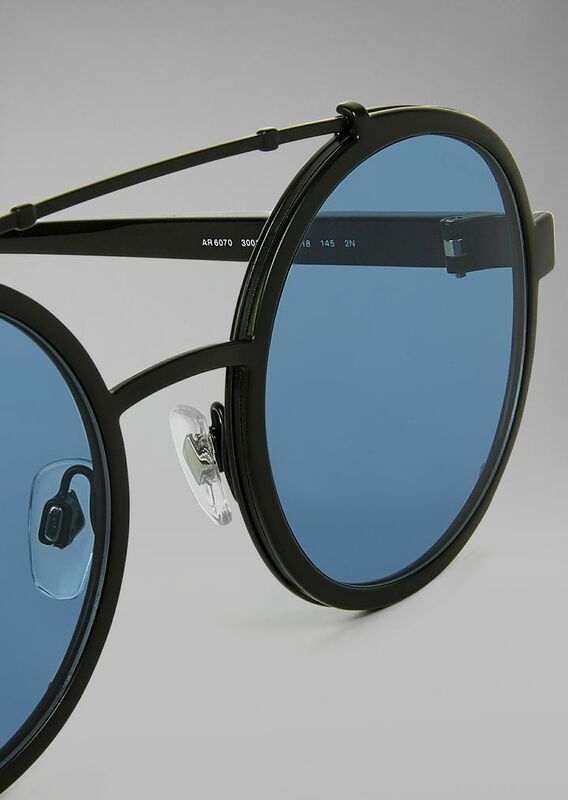 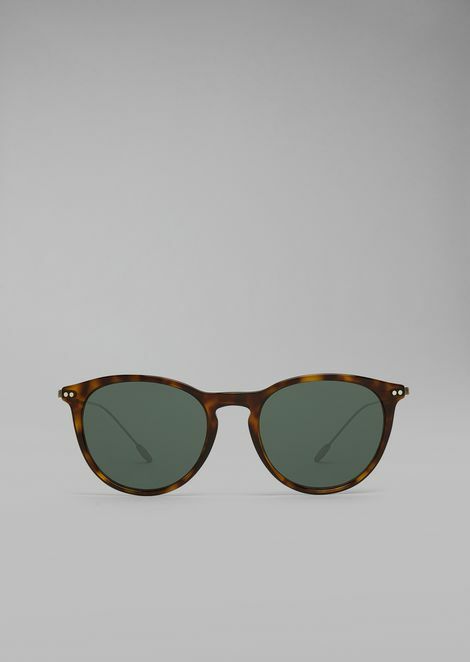 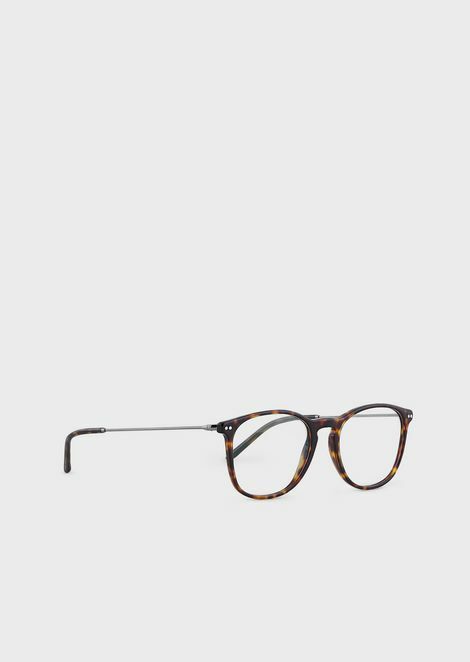 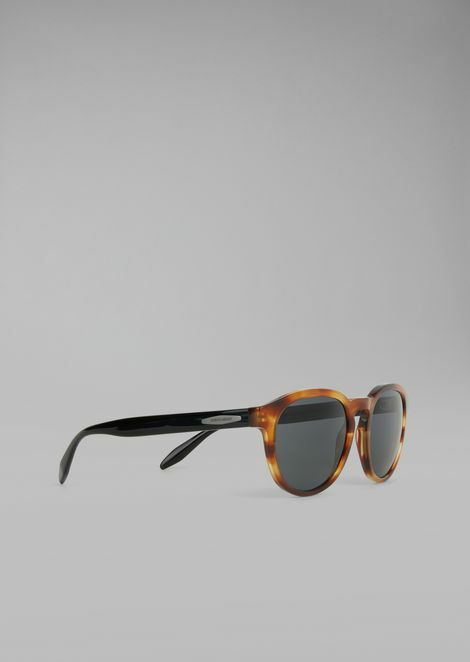 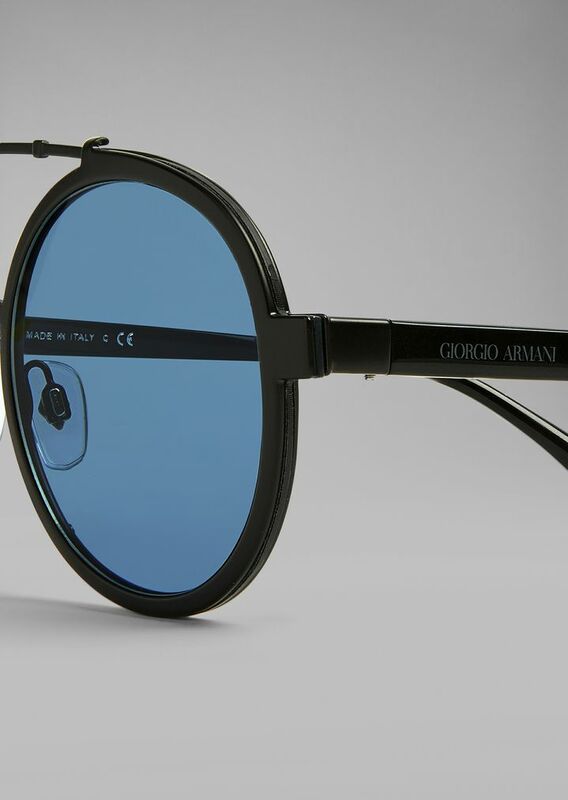 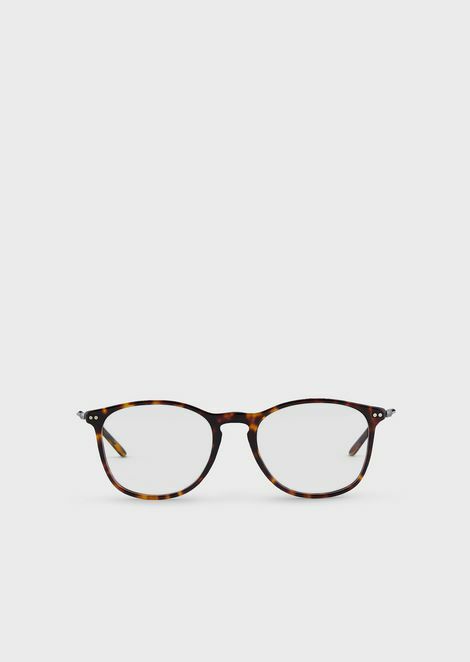 The innovative construction places the flat lenses between two thin layers of metal decorated with retro style screws. 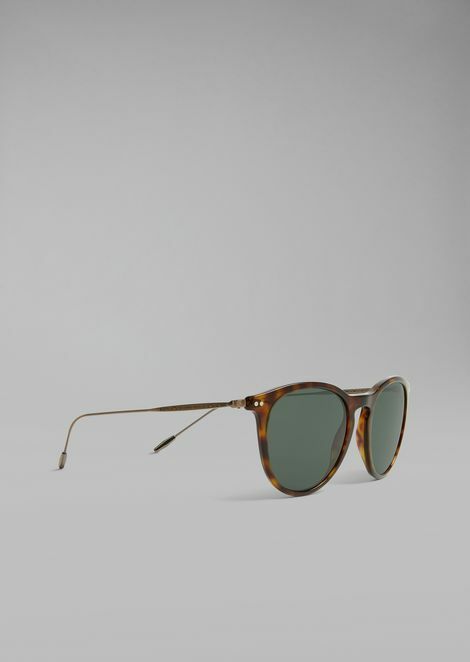 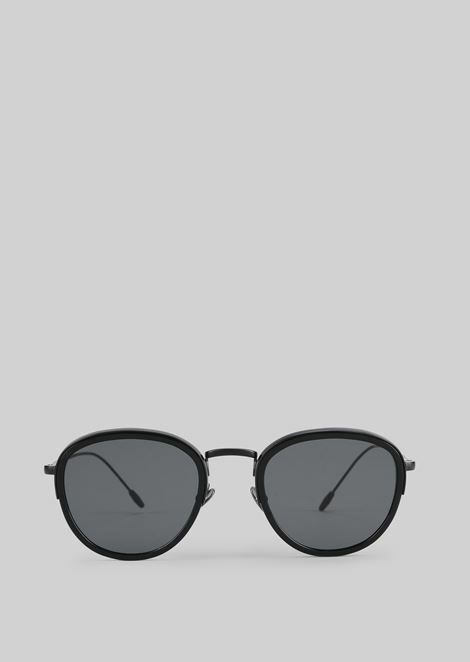 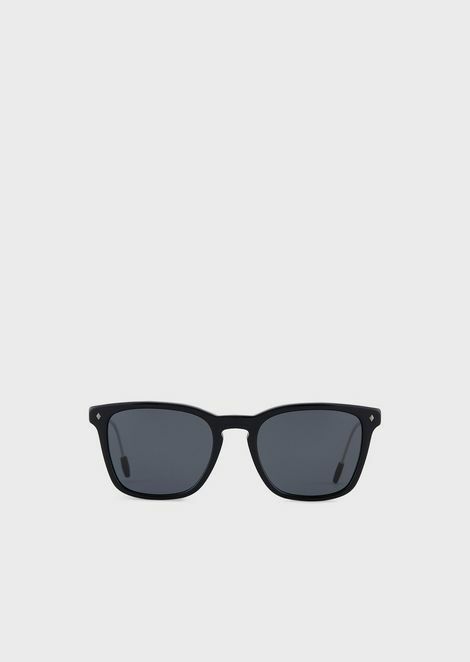 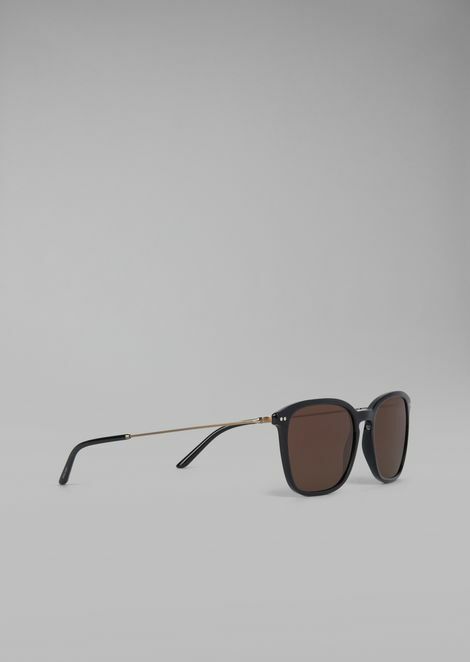 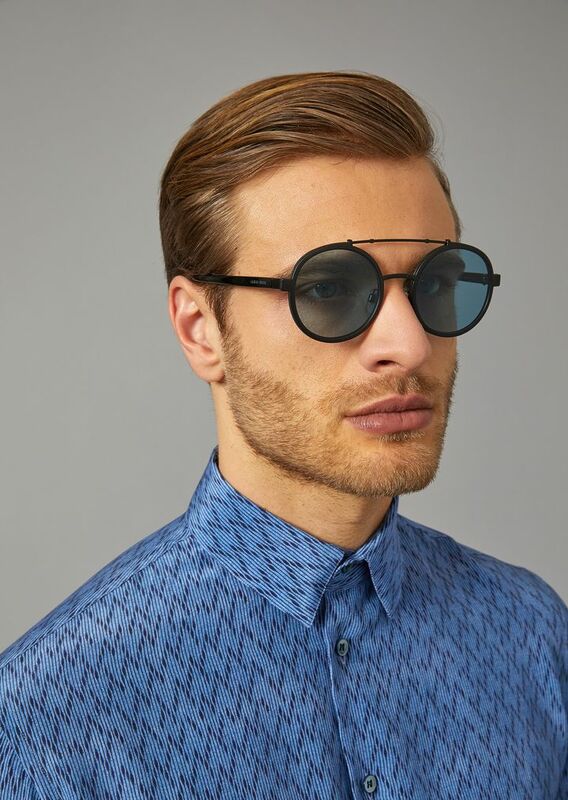 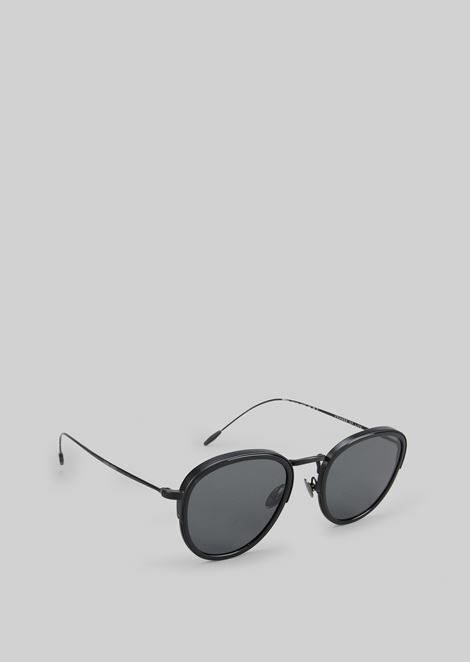 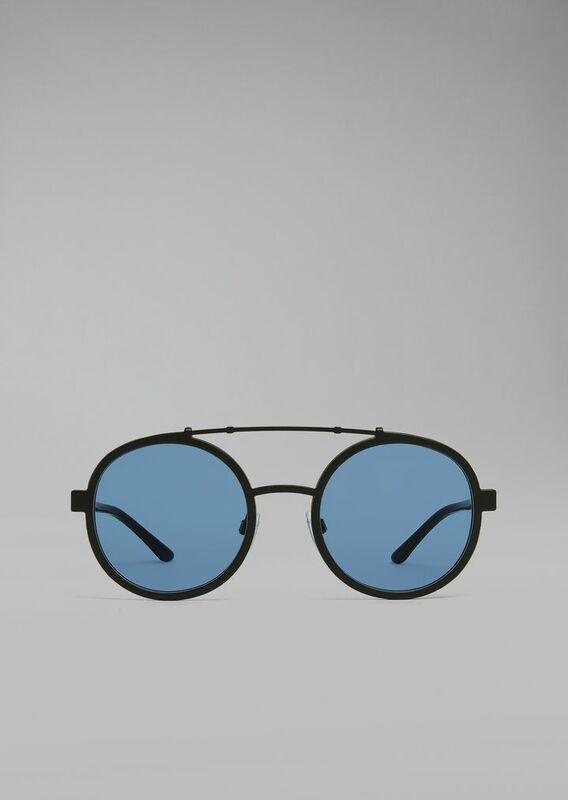 Diamond-shaped rivets on the tips and in the outer corners of the frames and the “Giorgio Armani” logo hot-pressed at the start of the temple identify the brand with the customary discretion. 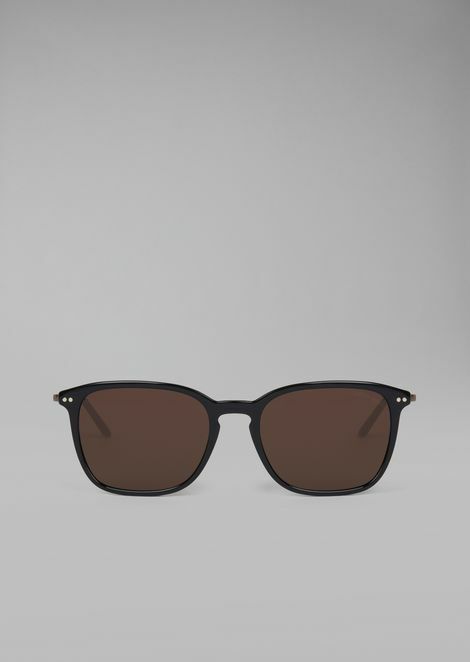 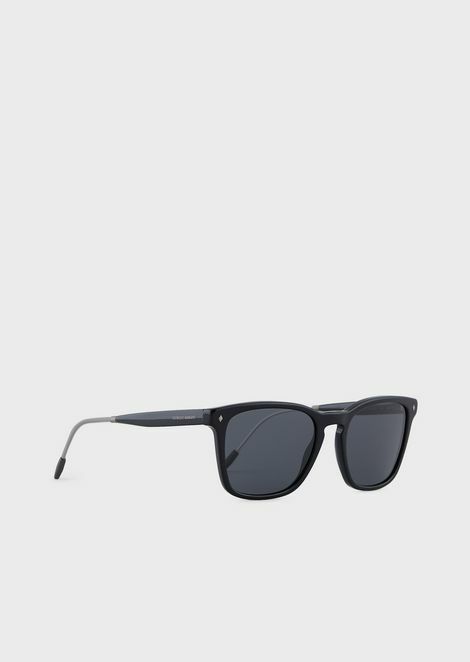 The “Frames of Life” logo printed on the inside of the left temple is a discreet detail for those seeking out style and class. 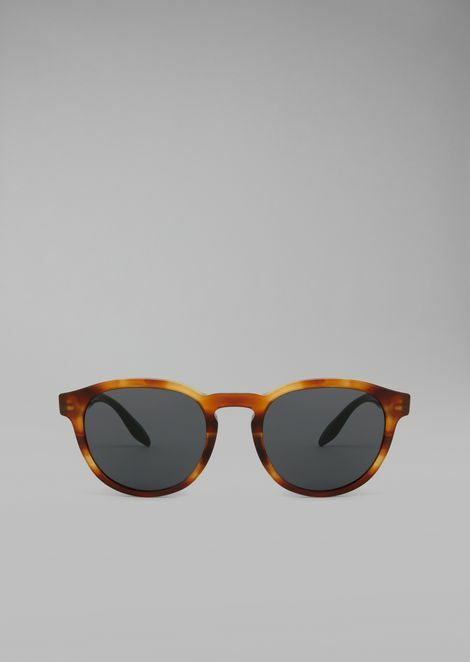 Featured in this season's advertising campaign.